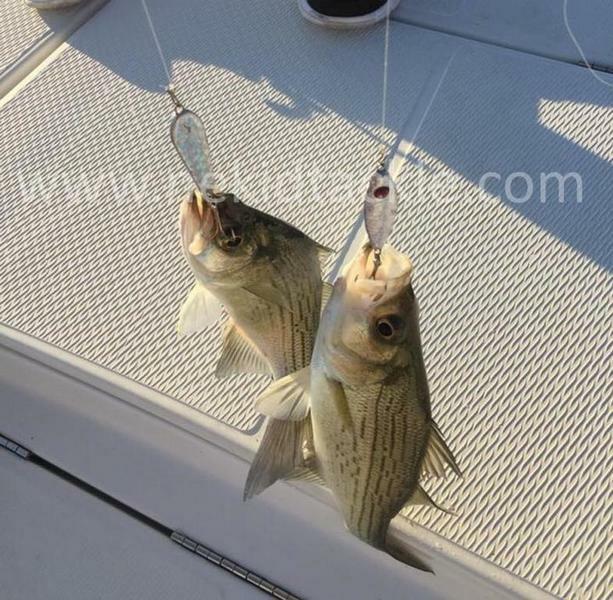 Register Log In Texas Fishing Forum Forums Whites - Hybrids - Striper 100% Holographic, UV Blast Coated Slabs?? Finally...Testing is completed!! We are amazed how these slabs catch!!! The super bright Holographic design, plus a special UV Blast enhanced Clear-coat get the attention of fish at all depths. The pictures below are from an independent fisherman. Final Production will begin this coming week. Again we are amazed at how these glow and catch fish!! The boat is burnt orange, you can see the reflection in the slab below. Why play with the rest when you can fish with the Best... RonRig !! 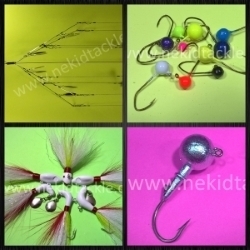 Holographic Tackle and all should be ready next week, taking longer than I want to finish tooling up to mass produce. 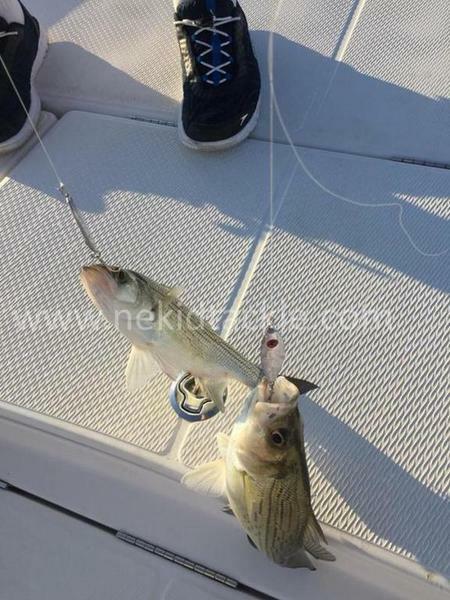 The wait will be well worth it, these things are working great in this pre-fall fishing!! !